The death of a spouse is always a difficult time in a person's life, but as the old adage says, "Nothing is certain but death and taxes." The surviving spouse generally has the option to file as married filing jointly or married filing separately when a spouse dies. Usually, the taxpayer should file how he normally files, but if he remarries before the end of the year, the decedent must file as married filing separately, and the remarried spouse may file jointly with his new spouse. Determine the filing status of the deceased spouse. According to the IRS, the deceased spouse can file as either married filing jointly or married filing separately. Write "Deceased" next to the spouse's name in the name and address portion of the tax return, and add the date of death on top of the return on Form 1040. Fill out Form 1310 if the deceased spouse has a refund while filing as married filing separately. Form 1310 allows a person who is not the taxpayer to claim a refund from the deceased taxpayer. Submit the return signed by the surviving spouse if filing a joint return. If the deceased spouse does not have a personal representative, the surviving spouse must write "Filing as surviving spouse" after her signature. Carter McBride started writing in 2007 with CMBA's IP section. He has written for Bureau of National Affairs, Inc and various websites. He received a CALI Award for The Actual Impact of MasterCard's Initial Public Offering in 2008. McBride is an attorney with a Juris Doctor from Case Western Reserve University and a Master of Science in accounting from the University of Connecticut. McBride, Carter. 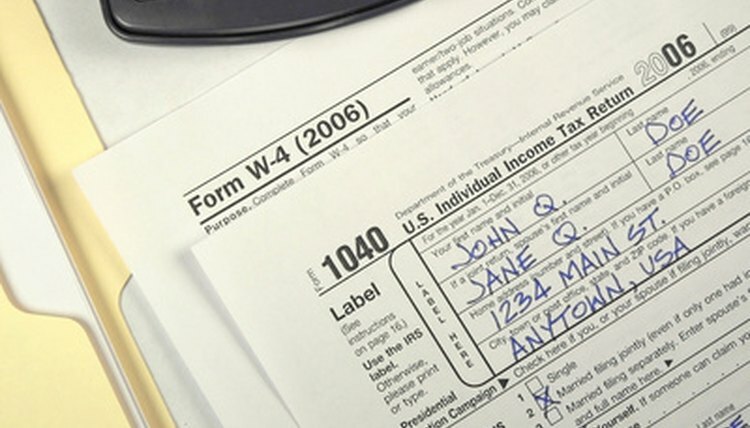 "How to File Taxes After the Death of a Spouse." , https://legalbeagle.com/6508830-file-taxes-after-death-spouse.html. Accessed 19 April 2019. How Do I Report Tax Fraud in Georgia? What Is the Deduction for Married Filing Jointly?